Nigel G. Mitchell - Author, Blogger, Geek: New Release: "Operation: Masquerade"
When Jason Locke retired from the super-secret agency known as GAIA, he thought he could settle down and live a normal life. Then his old boss convinces him to return for one last mission that could end the war between the Terran League and the alien Chitt'k. But the mission involves trying to pass himself off as a Chitt'k and live among them to steal their most guarded possession: a living computer. Even as Locke risks it all to carry out his most dangerous mission yet, he's unaware that a conspiracy is working against him. Operation: Masquerade is a fast-paced action adventure that will carry you from the slums of a future Earth to a battle among the stars. Download your copy today. Since people didn't seem to mind the self-promotion last time, here's another release announcement. If you've been following my blog for the past year, you'll know this has been a long time coming. 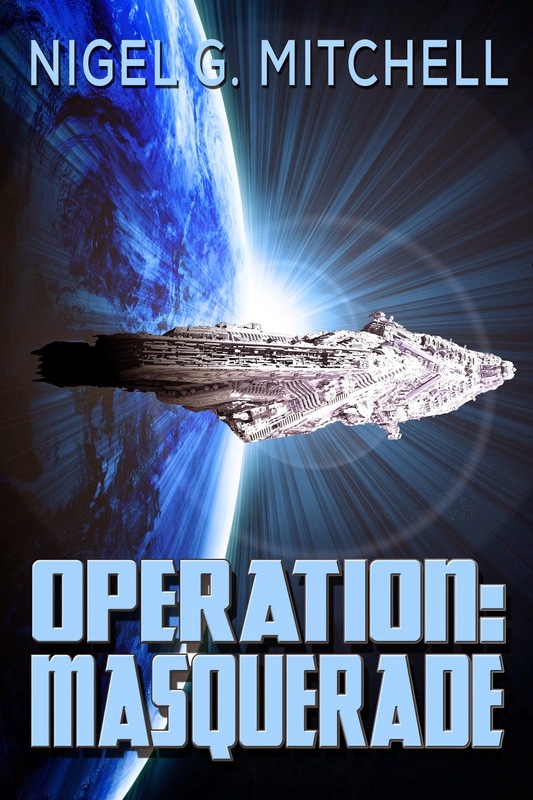 Operation: Masquerade is my first published pure sci-fi novel. I wrote Operation: Masquerade a few years ago, but it's been a difficult book to edit. Most of it takes place aboard an alien hive/spaceship which I wanted to feel other-worldly and unnatural. There were also a lot of fight scenes between highly skilled combatants which I wanted to describe in realistic detail - not just "he punched, she kicked, he punched again." The first draft turned out to be more like an outline, so I spent a long time fleshing it out. Then that second draft got deleted, so I had to start all over again. I hope you think the effort has been worth it. You can read the first few chapters for free in the Kindle sample at http://amzn.com/B00I9PRZF6. Oh, and if you want to read my short story Life Sentence, expanded from the original 100-word story, it's been published at 365 Tomorrows. Okay, enough advertising. I'll have more fun stuff tomorrow, promise.